WPF WrapPanel control is a panel that positions child elements in sequential position from left to right by default. The WrapPanel element in XAML and the WrapPanel class in C# represent a WrapPanel WPF control. 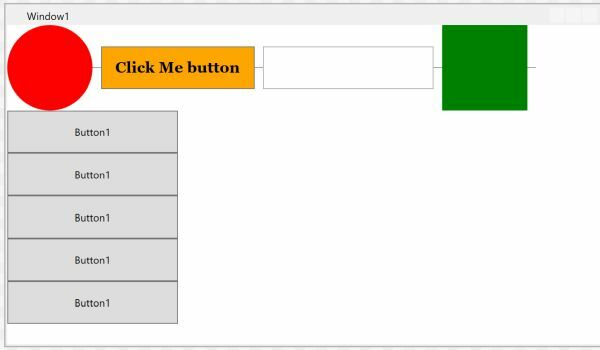 WPF WrapPanel control is a panel that positions child elements in sequential position from left to right by default. If child elements that are stacked don’t fit in the row or column they are in, the remaining elements will wrap around in the same sequence. The following is an example of two wrap panels, one is horizontal and the second is vertical. The WrapPanel element in XAML represents a Wrap Panel WPF control. The following code snippet declares a WrapPanel in XAML and sets its height, width, and background properties. Note: To test this code, create a WPF app in Visual Studio and replace default Grid panel with the above code. The Orientation property sets the wrapping of child elements. It can either be horizontally or vertically. When we use the horizontal orientation, child content forms horizontal rows. When we use a vertical orientation, child content is first positioned in a vertical column. The code example in Listing 2 adds various child elements to a Wrap Panel. 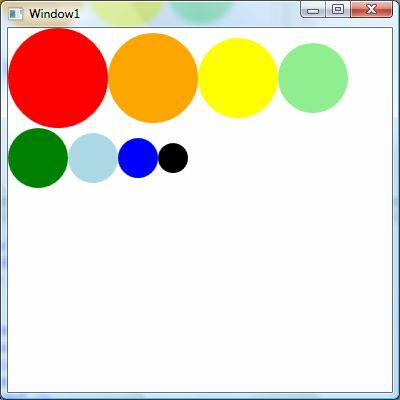 The XAML code example in Listing 3 declares a WrapPanel control, adds 8 ellipse to the panel, and keeps its orientation to horizontal by default. The output looks like Figure 1 where all child controls are wrapped horizontally. The output looks like Figure 2. As you can see Figure 2, the new controls are aligned vertically. The WrapPanel class in WPF represents a WrapPanel. The following code sample in Listing 4 creates a WrapPanel dynamically, sets its properties and adds five ellipses. The last line of the code sets the WrapPanel as the content of main windows, Name RootWindow. 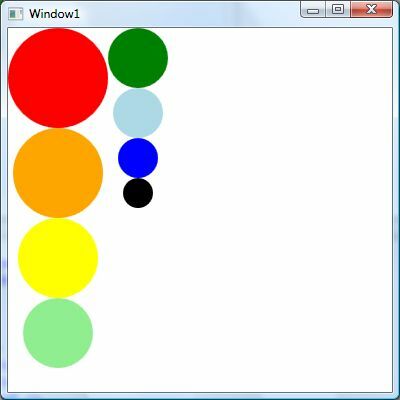 The complete Window class is listed in Listing 5. In this article, I discussed WrapPanel in WPF and how to use it in your WPF app.